Take advantage of the deep, roomy drawers in the Madison Drawer Chest. 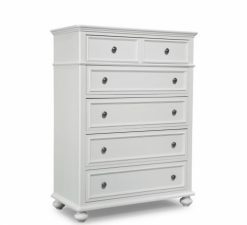 Offers 5 storage drawers (a large top drawer gives the appearance of 2 drawers). 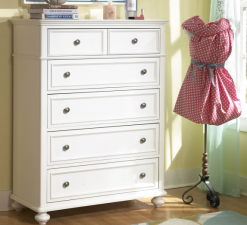 Framed drawers, waist molding, and bun feet add simple detailing to this timeless style.